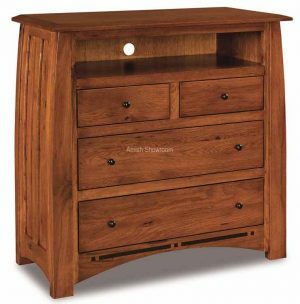 THE WOODBERRY COLLECTION is a very unique collection with custom turned bun feet on the bed and case goods. Quality is evident in the 1″ thick tops with ogee edge and ¾” thick solid drawer fronts. 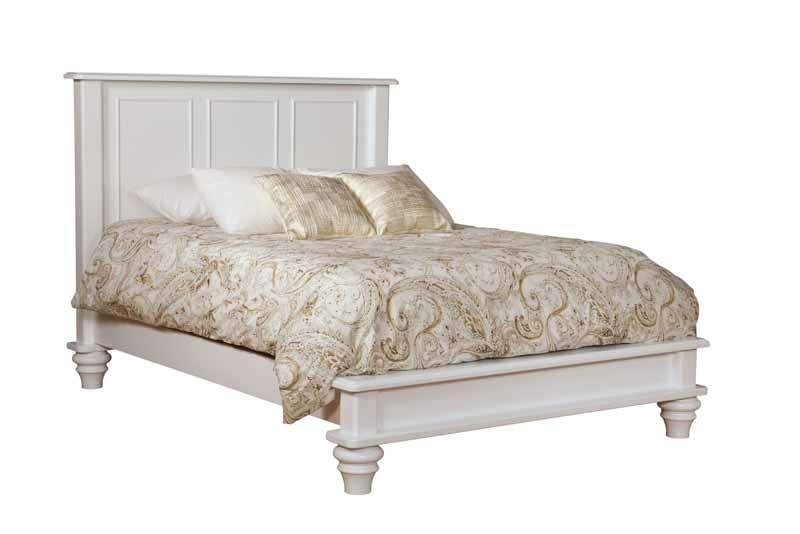 Finely detailed applied mouldings enhance the bed panels and drawer fronts. 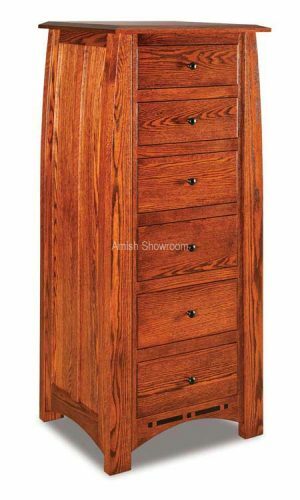 Same species dovetailed drawer boxes with full extension side-mount drawer slides and self-close feature are standard. Soft-close undermounts are optional. 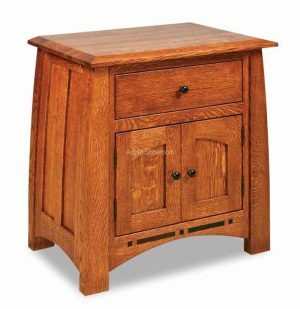 This collection is available in Brown Maple, Oak, Quartersawn White Oak or Cherry. 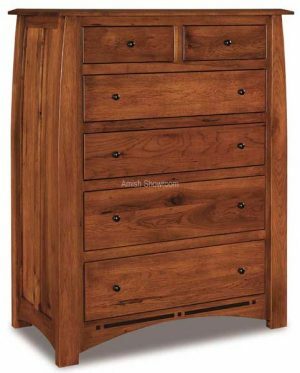 Standard hardware for this collection is 1¼” round wood knobs with no additional charge for any Hershberger Hardware.